The Fiber Studio & Gallery is a local Wichita art gallery located in downtown Wichita at 418 Commerce. They feature family friendly monthly exhibits with local and regional artists in a variety of mediums. The Fiber Studio also exhibits Master’s Thesis Exhibits for solo artists and once a year they feature a local high school art class. 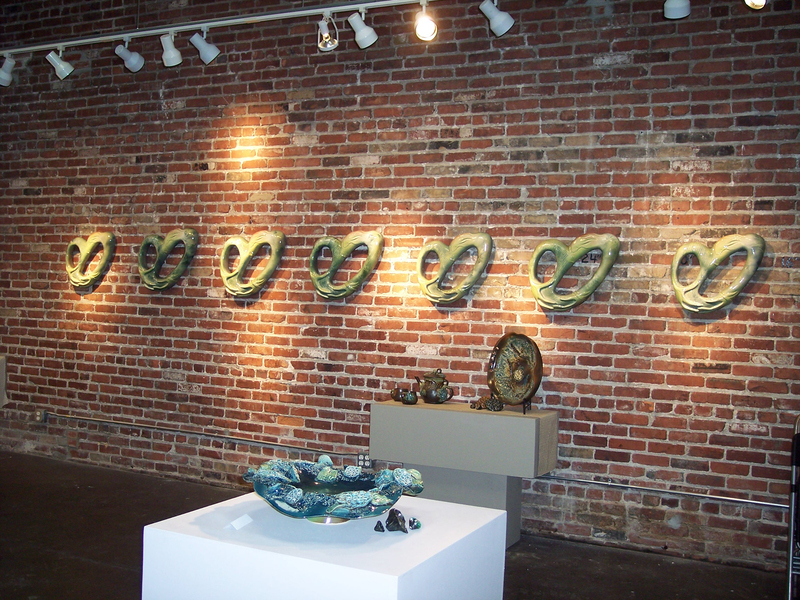 The Fiber Studio & Gallery was started in 2000 when Marilyn Grisham and her husband purchased a portion of the beautiful 1985 brick building downtown. The majority of their visitors are part of Final Friday, and last year they averaged 660 visitors per month. Debi Cox’s FHSU Master’s Thesis, “Compassionate Clay,” is currently on display at The Fiber Studio through Final Friday on July 31. The Fiber Studio & Gallery is open on Final Fridays from 6-10PM and other times by appointment. For more information, call (316)303-1996.